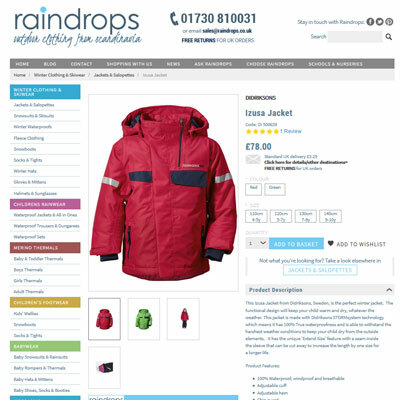 Raindrops Scandinavia is a trusted brand selling Scandinavian outdoor clothing for children. Sea Pebble designed and built a new website for Raindrops, using BigCommerce and creating a custom template specifically for Raindrops. 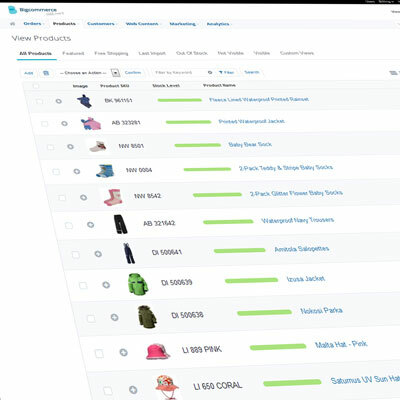 We also imported their entire product set of several hundred items from their old system and trained up the Raindrops staff so that the transfer from old to new was as smooth as possible. The new system is easier to use for customers and staff alike and is vastly more cost effective than the previous system. The net effect: increased functionality and a significant cost saving for the business. 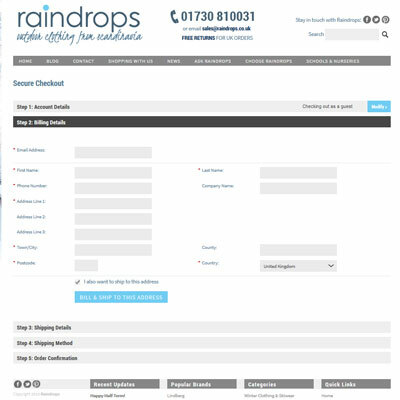 As well as the usual ecommerce functions, we added custom invoicing and reporting to help integrate the new site with Raindrops business systems. The new website is geared up for use as a marketing tool. 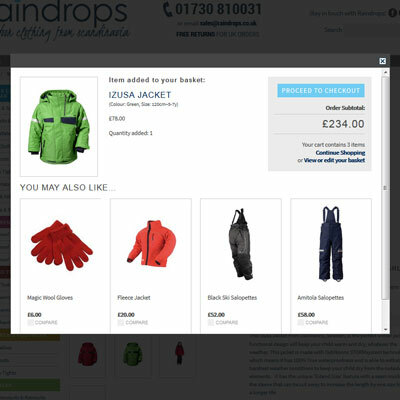 In the fiercely competitive children's clothing market, frequent promotions and short term offers are the norm - the website we created for Raindrops has proved essential in supporting this need.